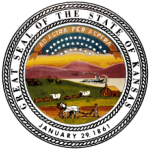 The Kansas Unsecured Promissory Note Template is a legal document that is available for download using the links posted near the top of this page. The document is an unsecured promissory note template. Unsecured notes are a type of written agreement that establishes specific terms of a loan (e.g. amount, interest rate per annum, payment/installment schedule, interest due in the event of default, and more). Note: The maximum interest rate as set forth in K.S.A. 16-207 is fifteen percent (15%). Step 1 – Download the form. Provide the payment method by selecting the corresponding choice (check the box). Submit an installment amount (if “Installments” is selected). Enter the monthly/weekly due date if “Installments” or “Interest Only” is selected. Submit the due date (of the full balance). Step 5 – Interest Due in Event of Default – Should the borrower default on the loan without curing it, they will be subject to the interest rate submitted in this subsection. Provide the agreed upon interest rate. Enter the number of days past the initial due date the borrower will have to submit a missed payment. If the borrower defaults on the loan they will have a certain amount of time before to cure it before the lender takes further action. Submit the amount of time the borrower will have to cure their default. Enter the date in the appropriate format. 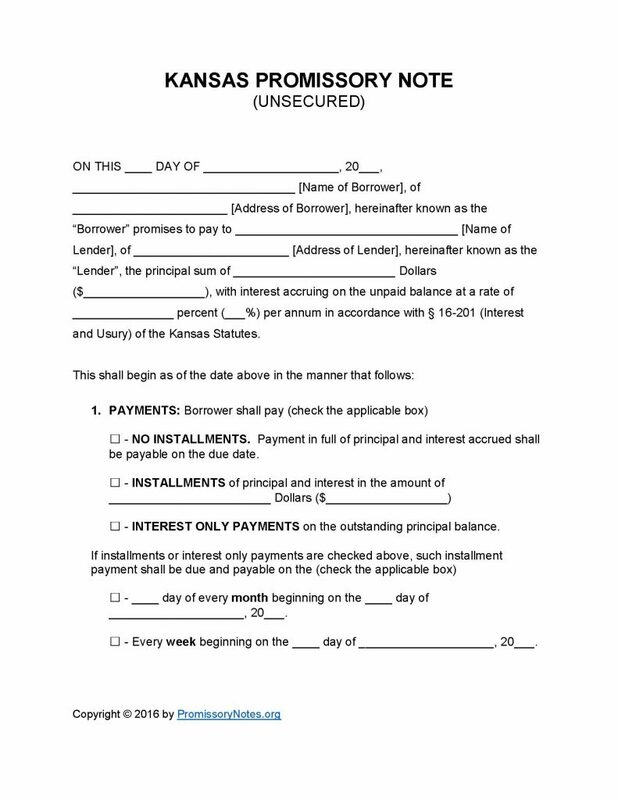 Borrower must provide a signature. Names/signatures of the witnesses are required.